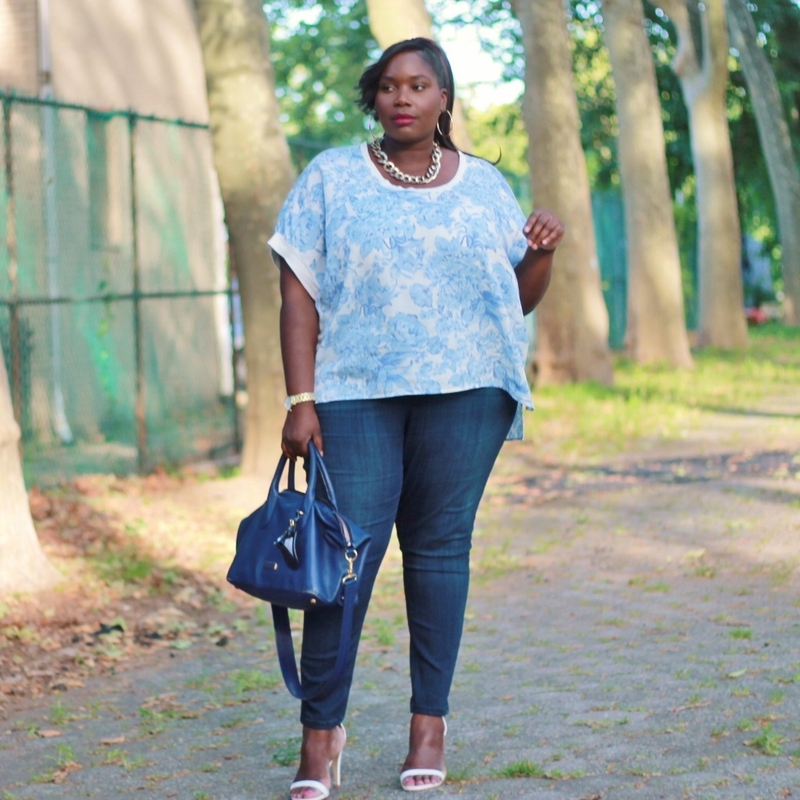 They all have some of the best skinny jeans on the plus size market. 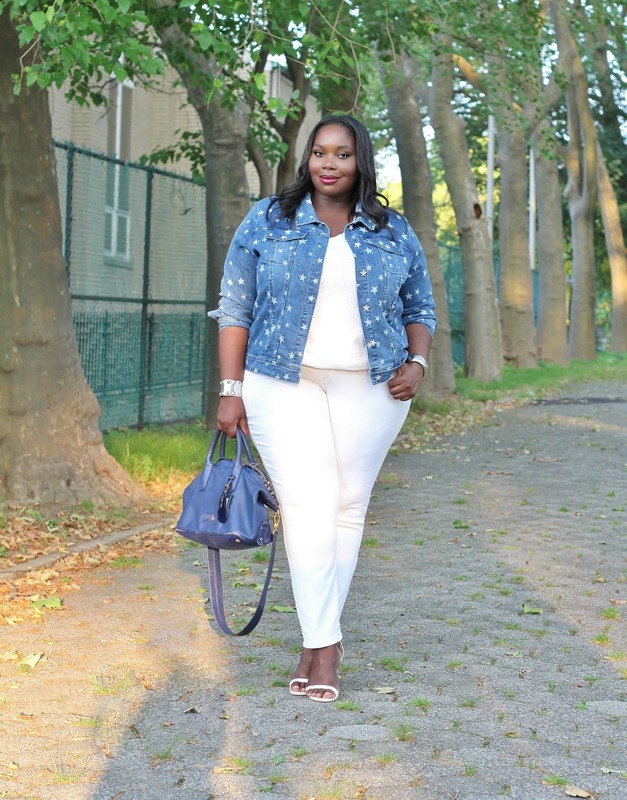 Recently, I have been on the hunt for a new denim brand to try and I found it. 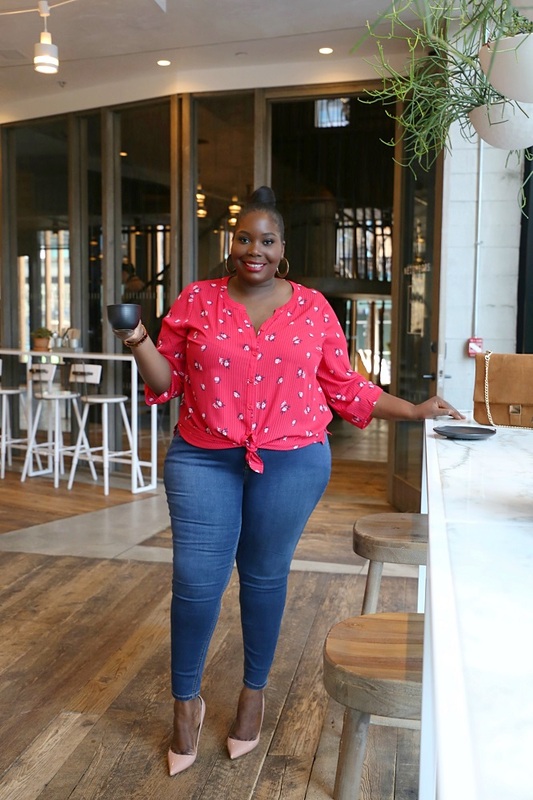 A PR friend to the blog I was working on a project with had recommended to me to try a pair of HSN’s Diane Gilman Plus Size Jeans and ya’ll, they’re a winner. When they were originally recommended to me, I said no. I thought they were going to be old lady jeans. My PR friend assured me they were not. She wears them herself. She said they’re one of the best jeans she has ever tried. She wasn’t lying. These jeans are freaking awesome. I tried two pairs. 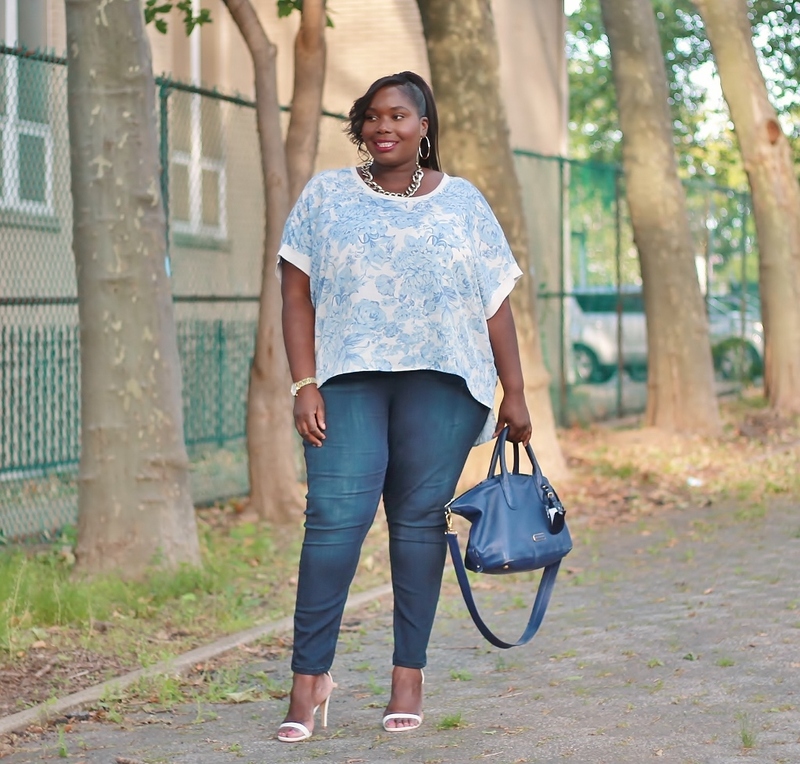 I tried a pair of skinny jeans, and a pair of jeggings. I’m wearing the jeggings and I am slightly ashamed to say that I wear them just about every other day unless I have somewhere special to go. 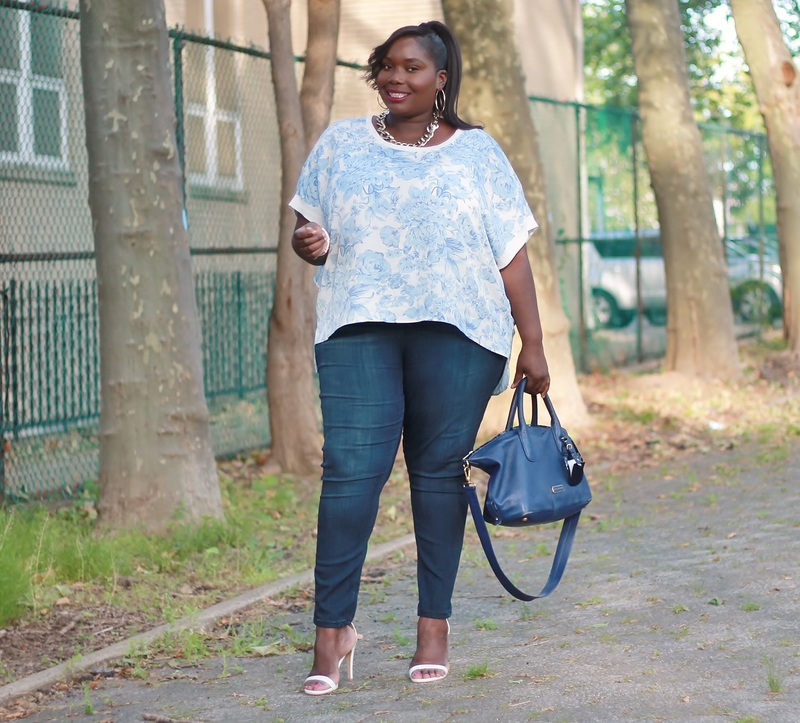 Diane Gilman Jeans are perfect for us girls with ample booty and thick thighs. 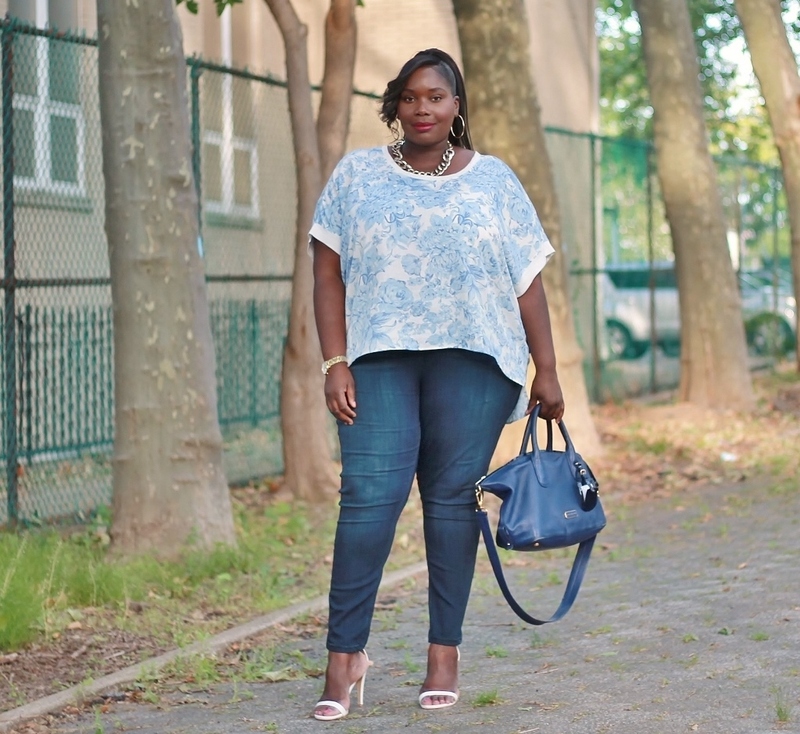 Fit Tip: The jeans offer a lot of stretch so I recommend sizing down atleast one full size. 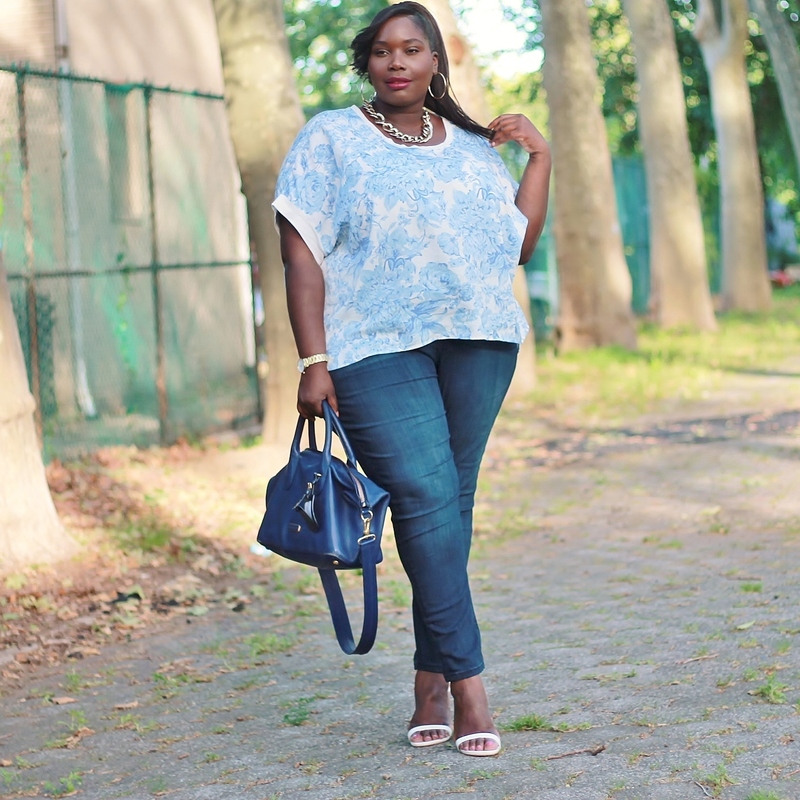 I paired Diane Gilman Plus Size Jeans with a blue and white floral top from Diane Gilman for Christopher & Banks. 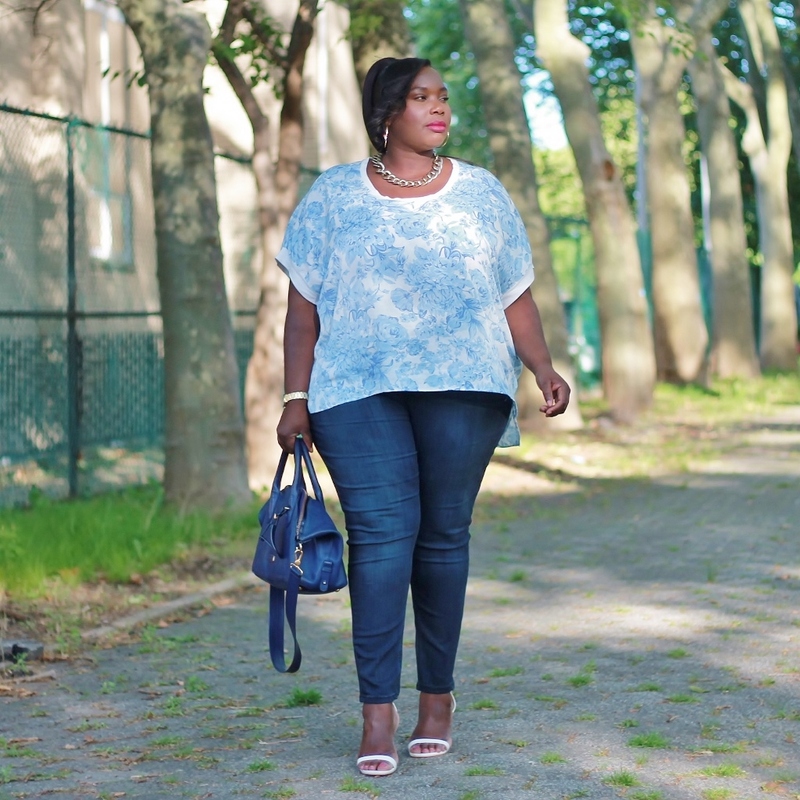 I love the combination of a loose top and fitted jeans. It creates a nice and flattering balance. I added a pair of white ankle strap sandals, and my go to navy tote from Marc Jacobs. 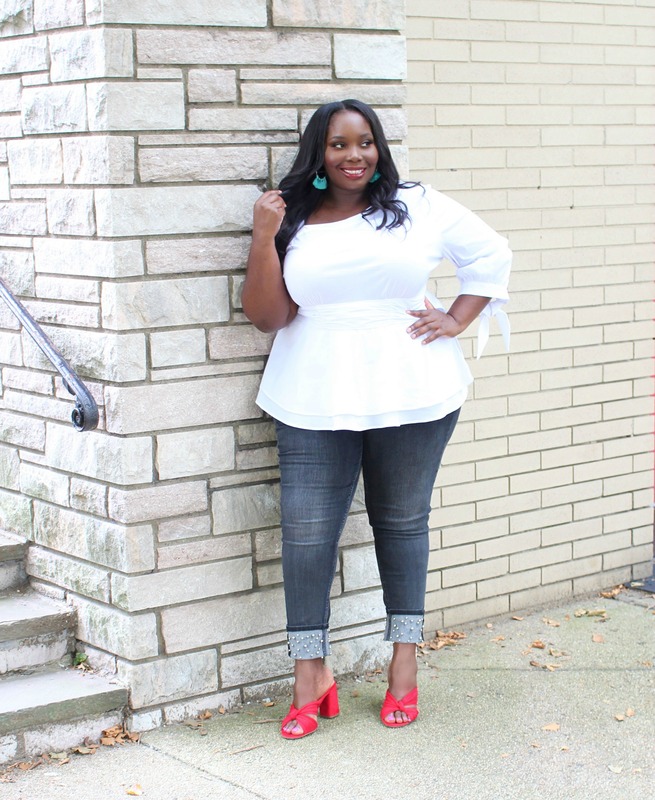 Have any of you tried Diane Gilman Plus Size Jeans? I read this article and found it very interesting, thought it might be something for you. 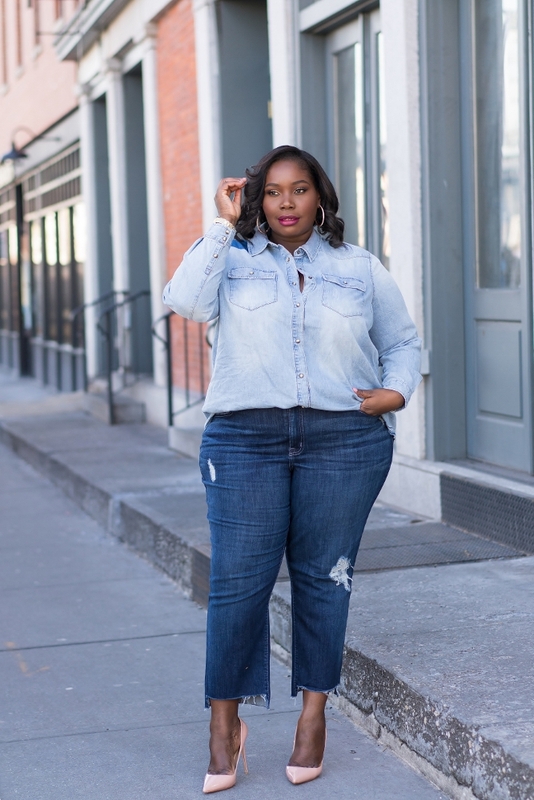 The article is called Perfect Plus Size Jeans From Diane Gilman and is located at https://stylishcurves.com/diane-gilman-plus-size-jeans-fit-like-a-glove/.